Janice Lowe - Close, age 82, of Millersburg, Ohio went home to be with the Lord, Tuesday, January 29, 2019 at Pomerene Hospital, Millersburg, Ohio surrounded by her family. Funeral services will be 12 noon Saturday, February 2nd at St John's Church of Millersburg with Perry Caruso officiating. Burial will be at Oak Hill Cemetery, Millersburg, Ohio. Friends may call from 10 a.m. to 12 noon on Saturday at the church. Those wishing to share a memory or make all my condolences may do so by www.alexanderfhinc.com. Family suggests memorial contributions be made to St John's Church, 8670 SR 39, Millersburg, Ohio 44654. Janice was born November 13, 1936 in Millersburg, Ohio and was the daughter of Steven D. and Mary Lucille (Wilson) Gadfield. On January 5, 1957 she married James D. Lowe, he preceded her in death February 17, 1989. She later married Wayne R. Close, he survives. Janice did secretarial work most of her life. 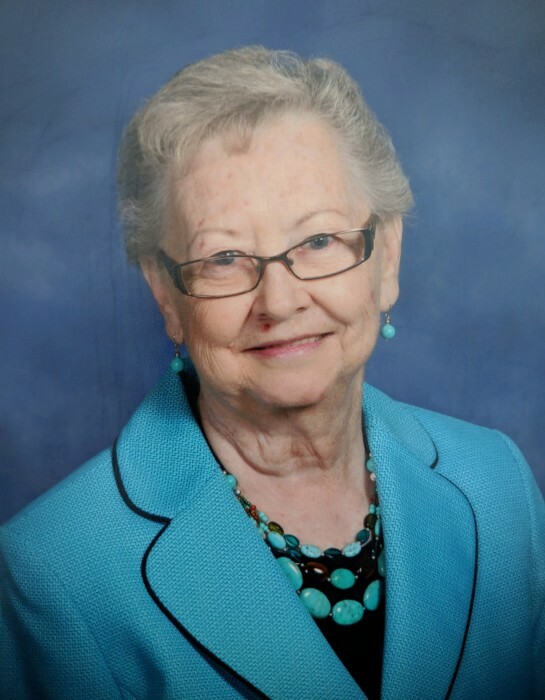 She was a member of St John's Church of Millersburg where she was past secretary for many years, active in the choir, taught Sunday school and participated in the women's card making group. Janice was one of the founders of Modern Mothers Club and volunteered her time with many groups in the community. She enjoyed crafts, sewing, knitting and making jewelry and cards. Surviving in addition to her husband, Wayne is a daughter, Stephanie (Joel) Weaver of Loudonville, Ohio; two grandchildren, Justin (Lauren) Weaver of Millersburg, Ohio and Derek (Amber) Weaver of Loudonville, Ohio; two great-grandchildren, Sterling and Marshall Weaver; one step daughter, Cindy (Charles) Krupp of Arizona; a step daughter-in-law, Linda Close of Millersburg, Ohio; and several nieces and nephews. She was preceded in death by her parents; her sister, Shirley Vaughn; and stepson, Steven Close.